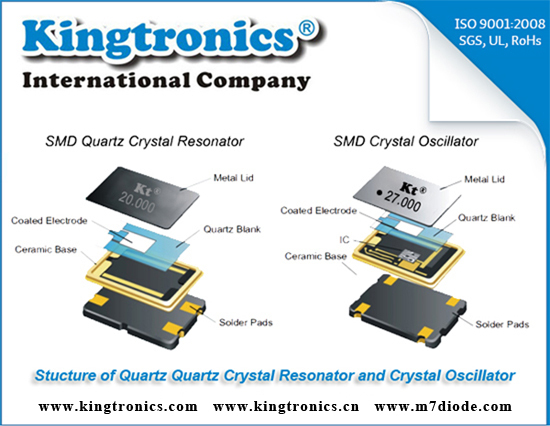 Usually we know crystals are referring to Quartz Crystal Resonator and Crystal Oscillator , so what is the basic difference of these two types of crystals? Today, we would like to distinguish them from their structure. Please follow us with below blog. Active Crystal Oscillator : Metal Lid, Quartz Blank, Coated Electrode, IC, Ceramic Base, Solder Pads. Passive Quartz Crystal Resonator : Metal Lid, Quartz Blank, Coated Electrode, Ceramic Base, Solder Pads.